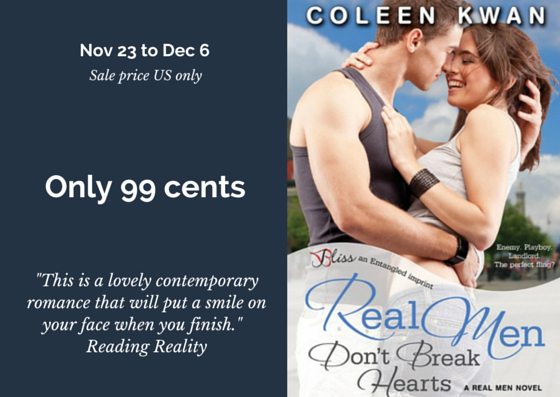 The first book in my Real Men series, REAL MEN DON'T BREAK HEARTS, is only 99 cents for a short time only (for US residents only, I'm afraid). I have a soft spot for this book. Ally and Nate are one of my favourite couples! My book is just one of Entangled Publishing's Black Friday specials. Load up your ereader with lots of great books at bargain prices. Click on the image below to see the full list of books on sale.